In a 21st century, the idea of a digital workspace becomes more and more popular. In the U.S. alone about 45 percent of the entire workforce, telecommutes at least as a part-time. Still, no matter how enticing this idea may sound, there is a reason why so many people prefer working in an office. 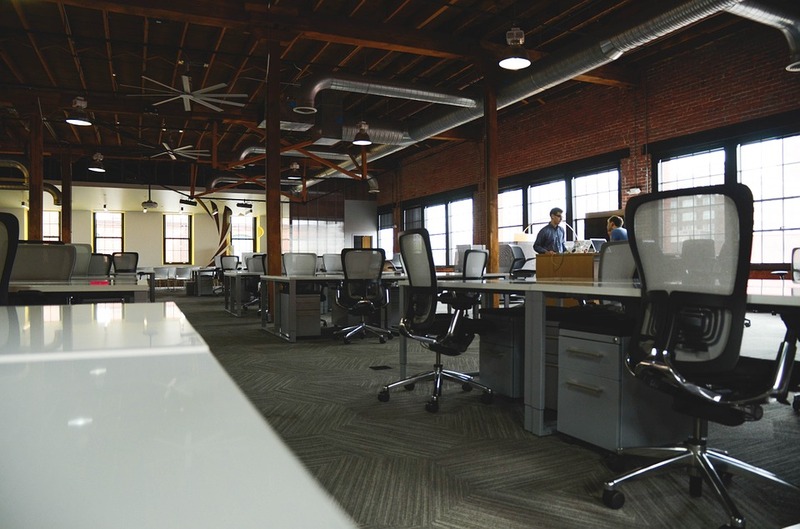 With this in mind, here are few important considerations you need to keep in mind when deciding whether your startup needs an office in the first place. 1. How Big Is Your Staff? The first question you need to ask yourself is how big of a staff your startup needs. Most commonly, you need HR, IT and finances departments, all of which would require separate office spaces. Furthermore, you need enough room for your sales department, which is probably going to take most of the floor. Of course, there is always an option of outsourcing some of the non-vital functions of your startup, like the aforementioned IT, which would free up some more office space. Either way, you need to determine the minimal amount of people you would have to place in the office. In order to save money, a lot of new business owners decide to take the smallest office they possibly can. Still, once their company starts growing and they start hiring more and more people, they might be forced to relocate. In this situation, they would also have to ponder on the price of the move and all the additional expenses that it brings. To make the long story short, you need to figure out whether it would be cheaper you to rent a bigger office right away (and thus pay more for the time being) or to eventually pay for relocation. Even though there is no general rule here, with average Australian prices of movers and storage, most startup owners eventually opt for the second option. One of the greatest advantages of establishing an office is a much more efficient teambuilding. You see, making your employees into teams is much harder, although not impossible, to do online. First of all, seeing how a lot of them may be in different time-zones, you might have a hard time coordinating between them. Furthermore, face-to-face interactions and watercooler chats can on their own act as a powerful catalyst for this kind of corporate bonding. In the end, one of the things that not a lot of people talk about is the question of how efficient work from home actually is. Even in this day and age, one may have a hard time explaining to their parents, roommates and friends that the fact that they are at home doesn’t mean they are idle. Additionally, everything in your household is there for your own comfort, which means that you will be surrounded with a myriad of distractions. Because of this, a lot of people find it much easier to focus in the office, which in turn leads to a much greater overall productivity. Finally, getting an office has some downsides as well. For starters, it costs your company quite a bit on a regular basis. Furthermore, you have to buy supplies, pay for furniture and even decorate for better productivity. Even though these investments are far from insignificant, they usually result in better productivity, sadly, not every startup has this kind of initial funding. In some extreme cases, it happens that people rent bigger offices than they initially need and burn through their budget before expanding enough. If something like that happens, these startup owners usually tend to look for smaller offices and relocate in order to reduce expenses, which is a viable option. If you were to hit a hurdle like this consider saving the excess equipment from the bigger office in one of the many storage solutions Melbourne has to offer. This way you save money on equipment should you move back into the bigger office again. Overall, you will probably get the answer you expected from the very start. Does your startup need an office? It’s situational. Getting office space often comes with a long-term commitment. Co-working spaces are really cropping up everywhere as it allows you to experience having a physical location but allow the flexibility to not get into any long-term arrangement. Well its very difficult for freelancers like me to find affordable and facility full office space. COworking desks are really useful. I too use desk space for 2 at Evoma, Bangalore.